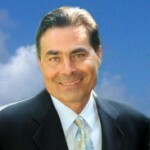 Gord Theo, ON, Canada | The Secretan Center, Inc.
Gord Theo is a thought leader in what he calls the “Personal Evolution Revolution”. He deeply shares Dr. Lance Secretan’s passion of integrating corporate professional life with spiritual integrity. Gord Theo, ICF PCC, CVPP, RIHR, is a Certified Higher Ground Leadership® Coach, Executive Coach, Spiritual Coach and Psychotherapist. He holds the honor of being a Wisdom Keeper who has been initiated in the Shamanic traditions of the South American Amazon and the Bolivian Andes and as a Pipe Carrier in the North American Native Spiritual tradition. Gord Theo leverages over 20 years experience providing career consulting for countless professionals and executives having worked with many of Canada’s Fortune 100 companies as an Executive Search Consultant.